"You can only do one thing at a time: talk to the baby or talk on the phone." Last summer, as my baby grandson and I strolled through the same neighborhood his father and I had strolled through 30 years earlier, I saw that something vital had changed. Back then, adults pushing babies in strollers talked with those babies about whatever came across their path. But these days, most adults engage instead in one-sided conversations on their cellphones, or else text in complete silence. As a linguist, I wondered whether the time adults spend with their mobile devices might be affecting the way children learn language. Since the technology hasn’t been ubiquitous for long, research on this question is scarce. But other research on the effects of adult-child conversation makes a strong case for putting cellphones away when you’re around children. For a study published in the journal Pediatrics in 2009, researchers outfitted young children with small digital recorders, which captured the language each child heard and produced. The researchers could then identify and count the two-sided exchanges, or conversational “turns,” between children and adults. Subjects were also tested on a range of linguistic measures, from the earliest preverbal behaviors, to nascent phonology and grammar skills, to preliteracy and the integration of complex parts of language. The children exposed to more conversational give-and-take scored higher at every stage of language proficiency. In essence, the children made greater linguistic strides when adults talked with them than when they were simply in the presence of language or even when adults talked to them. We learned long ago that children’s language abilities and eventual academic success are linked to the sheer volume of words they are exposed to early on. Now we have additional evidence that the quality of linguistic exposure, not just its quantity, matters. Two other studies, reported in the Proceedings of the National Academy of Sciences in 2003, looked at the effects of parent-child interactions on very early stages of language production and perception. In one, babbling infants and their mothers were tracked during on-the-floor playtime. Mothers in one group were directed to respond to their babies’ vocalizations with smiles and touches, and by moving closer. Mothers in the other group were not cued to respond in the same way. The study found that babies whose moms interacted with them in sync with their babbling soon began to vocalize more, with more complex sounds, and articulated more accurately than the other children. In the other study, 9-month-old babies, who are in the late stages of locking in to the sound system of their native language, were exposed to mini lessons in Mandarin, to see if they could still learn to discern the sounds of a foreign language. One group of babies was taught by real live Chinese speakers. Another group got lessons from electronic versions of the adults, who appeared either on TV or on audiotape. Infants with live teachers learned to discern the sounds of Mandarin, while those in the group with electronic instruction did not. These studies suggest that social interaction is important to early language learning. Of course, everyone learns to talk. But how ironic is it that, in this era when child-rearing is the focus of unprecedented imagination, invention, sophistication, and expense, something as simple and pleasurable as conversing with our children can be overlooked? this column to our attention. Instead, help them channel their energy into productive tasks. This year's end-of-year paper purge in my middle school office revealed a startling pattern in my teaching practices: I discipline boys far more often than I discipline girls. Flipping through the pink and yellow slips--my school's system for communicating errant behavior to students, advisors, and parents--I found that I gave out nearly twice as many of these warnings to boys than I did to girls, and of the slips I handed out to boys, all but one was for disruptive classroom behavior. The most frustrating moments I have had this year stemmed from battles over--and for--my male students' attention. This spring, as grass greened up on the soccer fields and the New Hampshire air finally rose above freezing, the boys and I engaged in a pitched battle of wills over their intellectual and emotional engagement in my Latin and English classes, a battle we both lost in the end. Something is rotten in the state of boys' education, and I can't help but suspect that the pattern I have seen in my classroom may have something to do with a collective failure to adequately educate boys. The statistics are grim. According to the book Reaching Boys, Teaching Boys: Strategies That Work and Why, boys are kept back in schools at twice the rate of girls. Boys get expelled from preschool nearly five times more often than girls. Boys are diagnosed with learning disorders and attention problems at nearly four times the rate of girls. They do less homework and get a greater proportion of the low grades. Boys are more likely to drop out of school, and make up only 43 percent of college students. Furthermore, boys are nearly three times as likely as girls to be diagnosed with Attention Deficit and Hyperactivity Disorder (ADHD). Considering 11 percent of U.S. children--6.4 million in all--have been diagnosed with a ADHD, that's a lot of boys bouncing around U.S. classrooms. A study released last year in the Journal of Human Resources confirms my suspicions. It seems that behavior plays a significant role in teachers' grading practices, and consequently, boys receive lower grades from their teachers than testing would have predicted. The authors of this study conclude that teacher bias regarding behavior, rather than academic performance, penalizes boys as early as kindergarten. On average, boys receive lower behavioral assessment scores from teachers, and those scores affect teachers' overall perceptions of boys' intelligence and achievement. "On average, boys receive lower behavioral assessment scores from teachers, and those scores affect teachers' overall perceptions of boys' intelligence and achievement." While I love teaching boys, many of my colleagues do not, particularly during the hormone-soaked, energetic, and distracted middle- and high-school years. Teachers and school administrators lament that boys are too fidgety, too hyperactive, too disruptive, derailing the educational process for everyone while sabotaging their own intellectual development. Peek into most American classrooms and you will see desks in rows, teachers pleading with students to stay in their seats and refrain from talking to their neighbors. Marks for good behavior are rewarded to the students who are proficient at sitting still for long periods of time. Many boys do not have this skill. In an attempt to get at what actually works for boys in education, Dr. Michael Reichert and Dr. Richard Hawley, in partnership with the International Boys' School Coalition, launched a study called Teaching Boys: A Global Study of Effective Practices, published in 2009. The study looked at boys in the United States, United Kingdom, Canada, Australia, New Zealand, and South Africa, in schools of varying size, both private and public, that enroll a wide range of boys of disparate races and income levels. Lessons that result in an end product--a booklet, a catapult, a poem, or a comic strip, for example. Lessons that require boys to address open questions or unsolved problems. So what might a great lesson for boys look like? Reaching Boys, Teaching Boys is full of examples, but here's one I want to try next time I need to help my students review information, particularly a mass of related ideas. Split the class into groups of four and spread them around the room. Each team will need paper and pencils. At the front of the room, place copies of a document including all of the material that has been taught in some sort of graphical form--a spider diagram, for example. Then, tell the students that one person from each group may come up to the front of the classroom and look at the document for thirty seconds. When those thirty seconds are up, they return to their group and write down what they remember in an attempt to re-create the original document in its entirety. The students rotate through the process until the group has pieced the original document back together as a team, from memory. These end products may be "graded" by other teams, and as a final exercise, each student can be required to return to his desk and re-create the document on his own. Rather than penalize the boys' relatively higher energy and competitive drive, the most effective way to teach boys is to take advantage of that high energy, curiosity, and thirst for competition. While Reichert and Hawley's research was conducted in all-boys schools, these lessons can be used in all classrooms, with both boys and girls. Teachers have grown accustomed to the traditional classroom model: orderly classrooms made up of ruler-straight rows of compliant students. It's neat and predictable. But unless teachers stop to consider whether these traditional methods are working for both girls and boys, we will continue to give boys the short end of the educational stick. 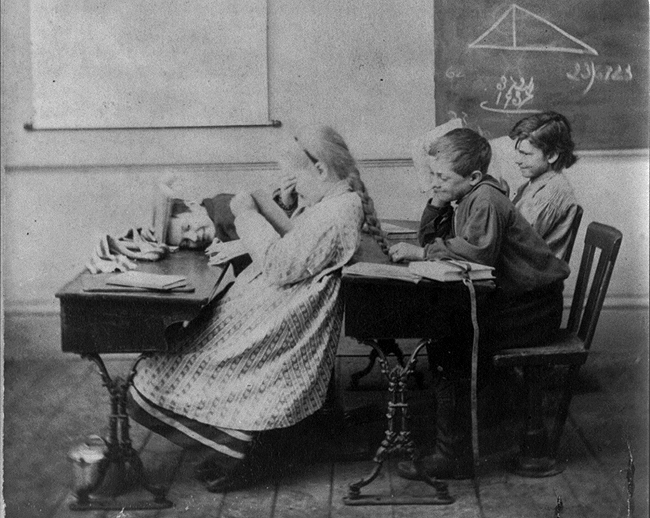 "Whatever dissonance, confusion, and conflict may hover in the air as stakeholders assert new and competing claims about the nature and needs of boys and girls and the essential or trivial differences between them with respect to how they learn and should be taught, few could reasonably argue with the proposition that many boys are not thriving in school. Nor could one possibly argue there is no room to reason or improve." Educators should strive to teach all children, both girls and boys by acknowledging, rather than dismissing, their particular and distinctive educational needs. As Richard Melvoin, headmaster at Belmont Hill School in Massachusetts, wrote, "To provide rights and opportunities to girls is important; to call for the diminution of males, to decry their 'toxicity' as [Richard Hawley] has put it so poignantly, has not served boys and girls--or men and women--well... May we all find ways of understanding even better this complex 'piece of work' called man." Jessica Lahey is an English, Latin, and writing teacher in Lyme, New Hampshire. She writes about education and parenting for The New York Times and on her site, Coming of Age in the Middle.